David Hudson's dilemma is not unique, in that other business executives all over the nation are facing this identical issue. How do they attract younger workers, members of the so-called "millennial generation"? The company that Hudson serves as its president, Southwestern Public Service Co. — an arm of Xcel Energy — has begun construction on a $42 million office complex next to where the action will be taking place in downtown Amarillo. He told Panhandle PBS Senior Content Producer Karen Welch that the task now is for SPS to find ways to attract young employees to replace those who will be retiring. One inducement lies in the city's downtown business district, which is in the first stages of a major makeover. Panhandle PBS has posted Hudson's conversation with Welch online. So, here's what is at stake. Hudson's concern deals with the retirement of about 25 percent of SPS's workforce in the next few years. 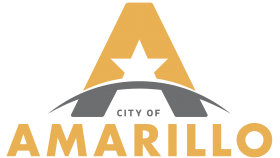 He has to find young people who are technically savvy and who want to live in Amarillo. Many of them have grown up here, finished their education and are looking for somewhere to settle permanently. SPS climbed aboard the city's downtown revival bandwagon early, as Hudson acknlowledges in his interview with Welch. The idea was to promote the revitalization project with an eye toward it becoming a magnet for young people who — that's right — would come to work for SPS. The company is vacating the Chase Tower soon. It has been in the 31-story skyscraper since it was erected in the early 1970s. The new complex, on Buchanan Street just south of where site preparation work has begun on a parking garage and a convention hotel, will be open for business in 2017. Hudson is banking on the city's downtown revival effort to have taken significant strides by the time the utility turns on the lights at its shiny new office complex. SPS is going through a transition of its own right along with Amarillo's downtown district, according to Hudson, who said he wants to ensure that the company's new digs on Buchanan Street are in the midst of an environment that will attract and keep young employees. Thus, it seems safe to presume that Hudson's early support of Amarillo's downtown revival efforts and the decision to build a new entertainment district — complete with the much-discussed multipurpose event venue/ballpark — is a case of what one could call "enlightened self-interest."